The Bree Louise, near Euston station, was a proper pub. Over a dozen ales, home made pies and none of that fruit machine nor background music nonsense. Sadly it was in the path of the HS2 project and scheduled for demolition. The North Wood Morris had the sweet sorrow of performing there on the 27th January 2018 – the day before the last pint was pulled. Saturday Night (hanky) – our usual opening number. 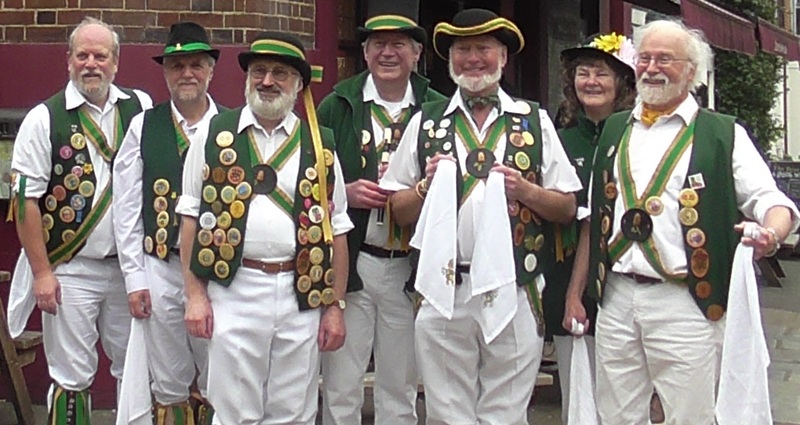 Balance The Straw (stick) – with a guest Morris Man who happened to be in the pub. Cuckoo’s Nest (stick) – a Canadian import! Bonny Green Garter (hanky) – the traditional closing dance for Cotswold style sides.